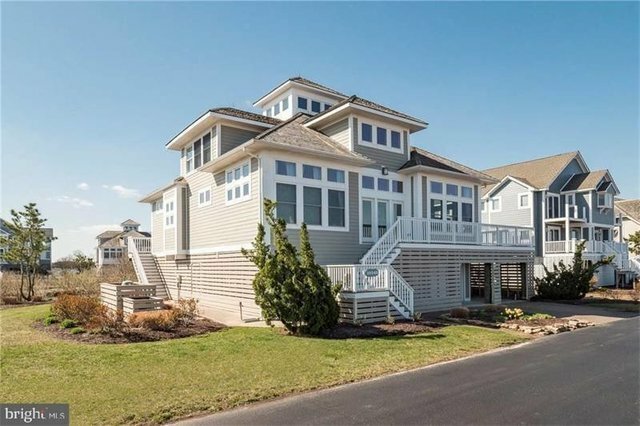 This amazing North Bethany home offers stunning bay views, a deeded boat slip, access to a private beach and a community pool. And that is just the beginning. On this first level is a workout room, a fun play room, wine room and ample storage space. The next level up is a show stopper with breathtaking views from every window. You will be awed by the amount of sunlight. Looking out the front living room window you will take in the beautiful Indian River Bay Bridge. On the back side of the house is your kitchen any chef would envy with granite counters and gas cooking, a dining and another living room - all with views of water out the back of the house as well. You can also relax in the screened porch or on the inviting decks. There is also an en-suite bedroom on the front of the house and a large master bedroom on the back of the house with a fireplace, walk in shower and deep tub. The next level offers two more bedrooms with water views that share a jack and jill bath. And it does not end there, there is one more level with views of the bay and the ocean. Perfect for an office, sitting room or anything else your imagination can come up with.